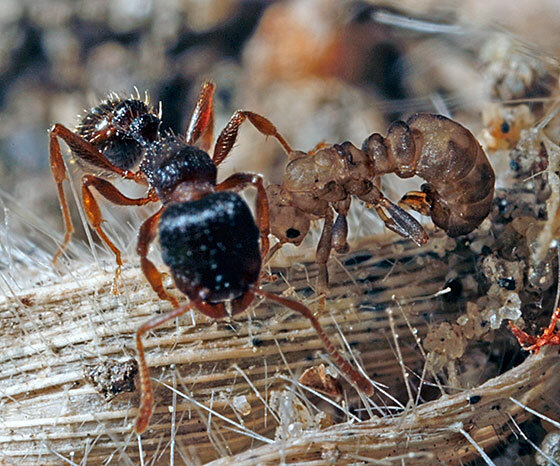 A Tetramorium caespitum (on the left) carried this Anergates atratulus male away from the colony. This time, the Anergates died quickly after being abandonned. in poor condition already. Maybe he had simply exhausted his normal life-span. Fabulous picture of him, though!